Learn how ABC Student Transportation is turning propane into an incredible investment. In my last blog, I wrote about hiring for potential, not position. If you commit yourself to constantly being on the lookout for your next key employee, you will be disappointed in the results. Don’t get me wrong. Staying top of mind for exceptional talent is important. But your path, as well as your company’s path to success is “creating” your leaders. The School District of Holmen is saving money and reducing emissions after beginning a transition to propane-powered school buses. In the past two years, the district has introduced eight Blue Bird propane buses into its fleet, and there are plans to replace the 30 remaining diesel buses as funding becomes available. Controlling transportation fuel costs while maintaining high performance and reducing emissions is key for any government agency fleet department. By adopting propane autogas vehicles, you can significantly lower your operating costs and environmental impact. An updated list of labor Standard Repair Times (SRT) is now available here. We’ve developed FAQs to show what this means to you. How are labor SRTs calculated? Our calculations come from a combination of Ford labor SRTs, time studies performed by ROUSH CleanTech-trained technicians using the appropriate tools, and feedback from service centers and technicians working with our product in the field. What if the time we spent on the repair doesn’t match your labor SRT? The ROUSH CleanTech warranty only covers the approved labor SRT. So, it’s critical to communicate with us if you’re unable to complete the repairs in the allotted time. We understand that unforeseen difficulties can arise during a repair and team members will do their best to work with you, but we can’t help if you don’t call first. Don’t wait for your invoice to tell us you went five hours over on a repair, please contact us at the first sign of trouble. 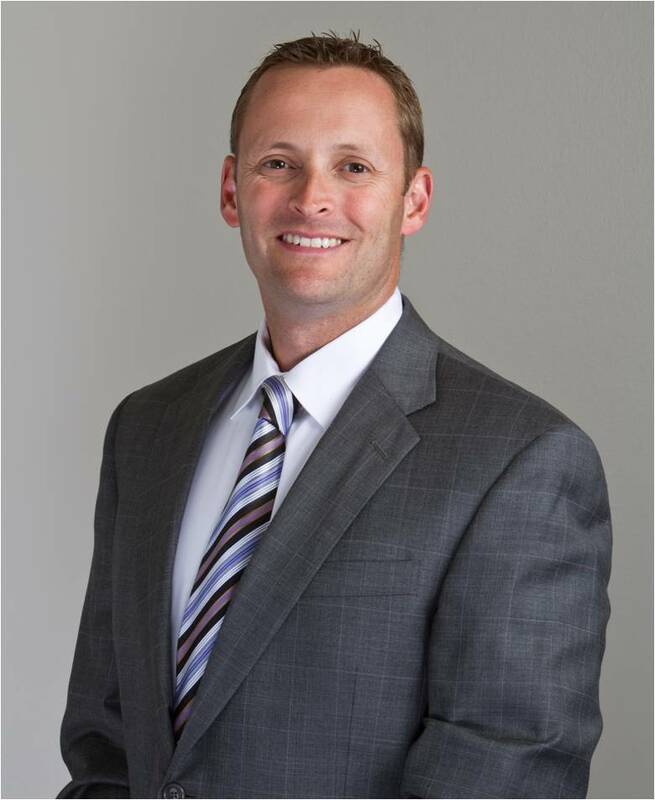 Does ROUSH CleanTech offer pre-approved diagnostic time? Beginning this month, ROUSH CleanTech Authorized Service Centers are pre-approved for 0.2 hours of labor time to bring the vehicle into the service bay, photograph damaged parts, and process a warranty claim. If a warranty repair requires diagnosis of a drivability concern, ROUSH CleanTech pre-approves up to 1.0 hours of labor time to bring the vehicle into the service bay, connect diagnostic equipment, complete our Drivability Diagnostic Worksheet, and process a warranty claim. What about evacuating the tank? We offer 2.0 hours for a fuel transfer and 1.5 hours for flaring. We do not pay labor time for venting a tank, but we can reimburse for fuel lost if a valid fuel receipt is submitted with your repair order. Do you pay for travel time? The ROUSH CleanTech warranty does not cover any travel expenses related to the remote service of vehicles. It’s up to the service center or dealer to weigh the costs associated with repairing a vehicle on-site for a customer. If you have any questions about labor SRTs, please email us at support@roush.com. We’ve recently developed two new case studies. One explores propane school bus maintenance benefits. The other is an informative testimonial from Leander Independent School District about its 10-year experience with propane buses. Download them and share with customers to further show the differentiators of propane buses. Here’s a quick overview of the case studies along with downloadable PDFs and a link to the ROUSH CleanTech website. Faced with the challenge of maintaining buses within strict budgets, school district transportation departments across the United States look to cost-saving fleet alternatives. As district transportation departments across the nation work within tight budgets, many turn to buses operating on alternative fuels. School buses fueled by propane autogas have an incremental cost of about $8,000 more than diesel. Testimonials from four school district transportation directors demonstrate that this incremental cost is quickly recouped through lower maintenance expenses. Download Maintenance case study PDF here, or visit https://www.roushcleantech.com/downloads/. Over the past 10 years, Leander ISD integrated propane school buses into its fleet to its current number of 117. About 30 percent of the total fleet runs on propane autogas, with a plan to convert to 60 percent in the next five years. The school district’s 24 newest Blue Bird Vision Propane buses are equipped with ROUSH CleanTech’s ultra-low NOx engines. Download Leander ISD case study PDF here, or visit https://www.roushcleantech.com/downloads/. COMING SOON! A brand-new case study on the total cost of ownership advantage for propane school buses. Half of the states have now finalized their beneficiary mitigation plans, and we expect the other half to fall into that category by years end. More important, eight states have already published and closed funding opportunities and another five states are seeking applicants for open opportunities. These 13 funding opportunities represent nearly $167 million, with $68 million of that total carved out exclusively for school bus replacement. There is definitely an emerging trend of school bus funding opening up before many of the other on- or off-road categories tagged for funding. So, the race to win as much cash as possible towards school bus replacement is officially on. Since the open period to apply is generally 30 days, there isn’t much time to get in front of customers to help maximize the number of buses they are applying for. If possible, plan ahead and have a strategy in place for when funding opens up in your state. And don’t forget to connect with the ROUSH and Blue Bird teams. We are working diligently to enhance the tools and resources available to help your sales teams and customers. Please contact Chelsea Jenkins at Chelsea.Jenkins@roush.com to discuss how best to approach and plan for the next phase of VW Settlement (and other funding) opportunities in your state. Visit www.ROUSHcleantech.com/volkswagen-settlement for more information. It’s been a few years since we first heard about the Volkswagen Settlement. We’ve been patiently waiting for each of our states’ Environmental Mitigation Trust plans to be finalized to then actually have the opportunity to apply for possible funding. Once state beneficiaries include propane school buses in its plans, and the plans are approved, you must be ready to act. That’s what happened in Ohio. When the state’s EMT program opened, they gave applicants 30 days to act. This was a short period for Tony Rumer at Cardinal Bus Sales to pull together his sales team and brief them on the funding. To help his efforts, Tony contacted ROUSH CleanTech and Blue Bird. Together, we created easy-to-use worksheets so that district representatives could simply fill in basic information to apply for the money. The Cardinal Bus sales team then met with as many school district contacts as possible. The team wanted to make sure that its existing Blue Bird customers were applying for this funding. To date, this has been the strongest strategy to take advantage of EMT funds. Because of these efforts, five school districts have applied for the VW funds for propane vehicles in Ohio. If you’d like help with encouraging your customers to apply for funding, contact Kuba Szczypiorski (Kuba.Szczypiorski@blue-bird.com) or Chelsea Jenkins (Chelsea.Jenkins@roush.com). Propane steals the show. At least, that’s what happened for Canyon State Bus Sales. Dealer sales rep Frank Villani has been trying to win over Arizona’s Flagstaff Unified District, an IC Bus diesel bus customer, for many years without success. That was until Frank presented the Blue Bird propane model to district representatives. The district reps had to make some comparisons to complete due diligence. First, they demoed the IC propane product. That’s when they found that the IC bus didn’t perform the way they had expected in this mountainous region. Then, the district reps demoed the Blue Bird Vision Propane. They were wowed by its performance and its ability to navigate the challenging terrain of the school district. In fact, they were so impressed that they purchased two units. 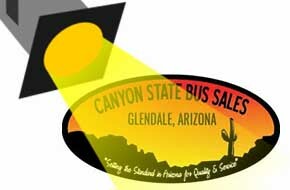 Congratulations, Frank and Canyon State Bus Sales! You’ve accomplished a huge conquest with perseverance and a solid propane product. The Michigan-based company recently announced the nation’s first near-zero propane engine, a 6.8-liter V10 3V propane engine for Class 4-7 vehicles that earned a .02 grams per brake horsepower-hour (g/bhp-hr) rating from the California Air Resources Board (CARB). And now Roush plans to unveil another first.